I am no longer at Ye old City Antique Mall. If you saw something there that you liked, just drop me a note, I probably still have it. 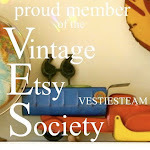 Watch my blog for future sale dates and locations. This is a show and tell hosted by ShabbyScraps Blog. She said that she's got over 50 participants so join in and show off your form. These pictures are not great but here goes. These are shelves made from a cut coffee table, I got 2 out of one table. These are shelves made out of shutters. These are both pretty easy projects, and the shutter shelves were a big hit at last years sale. So I made up 4 this time. I love the coffee table shelf...very clever! Hope you're having a great day! I love the coffee table shelf too. I wish I had the one I just gave away. You are a so creative. You keep churning out fab ideas! Great ideas! I'd love for you to pop on over to my blog when you get a chance and see my latest "junk decorating." I love your ideas! Thank you for sharing them with us. You give me inspiration to work on my own things. I love the shutter shelf! What a great easy project! I am yearning to get back in the shop...I'm itching to try that one out! I need to figure out how to do as much as you do in one day!